On Sunday morning I woke up at 6:30 in a panic. Dan was still beside me in bed, I thought it was Monday, his alarm didn't go off, he was late for work. Then I realized it was Sunday. Isn't that one of the best feelings in the world? My body just gets all warm and limp when I realize I can sink back into my pillows and fall asleep. Except that all this week I've thought it was Friday. Just now, I was shocked when I looked up into the little corner of my computer to realize it was flashing "TUE". Who knew? I think I'd better break out a calendar or something. Anyway, my favorite things…I went to the hardware store this afternoon to pick out a paint color for the headboard that Dan built for me last weekend. In my mind I knew I wanted a dark-grayish-brownish-goose down kind of color. I don't waste my time with all the other color providers. I marched straight over to the Valspar Martha Stewart color line and there was the exact color I was envisioning. That Martha, she knows what I like. I had my color and my paint within five minutes. Four of those five minutes were spent gathering up other color cards that I liked. I love these things. If I could get away with it, I'd stand in front of the display and take one of everything. I.love. color. And the names of colors–book cloth brown, araucana green, evening moth, sycamore bark…. And for the record, the one on the far left–tintype–will be the headboard–though it's looking very black in this light. The other favorite thing right now? Cucumber yogurt dip. Our family had dinner with another couple from our church several weeks ago and she made this with her meal. I couldn't stop eating it. I think that it may well be possible that Dan and I were the sole reason the bowl was empty at the end of the evening. Of course I got the recipe and I've been making it in constant rotation, like a chain-smoker lights cigarettes. Last summer was the summer of tomatoes, basil, mozzarella and balsamic. This is the summer of Cucumber Yogurt Dip. 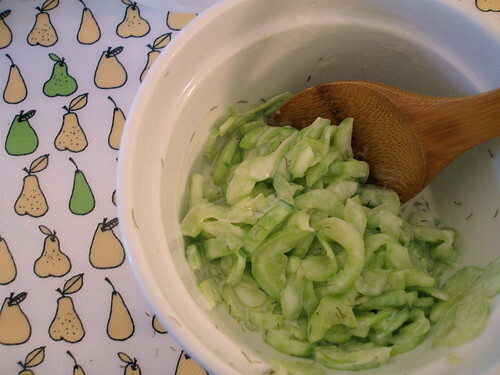 Peel, seed and thinly slice several cucumbers. Salt them and place in a colander to drain off the water. I leave mine for several hours in the refrigerator. To the drained cucumbers, add plain yogurt, a dollop of sour cream, a tablespoon or two of olive oil, a teaspoon or two (to taste) of red wine vinegar. Mix together and add salt, pepper and dill to taste. I'm putting it on everything–steak, chicken, potatoes, zucchini, bagel crisps. I even eat it straight up. I can't stop. It's so cool and refreshing and summery. Try it, you'll see. What do you mean, get away with it?! I have a stack probably three inches high of paint chips under my desk! I take lots for myself and some for the boys to play with while we’re at the hardware store and I love the colors, too. Sounds like we think alike. Love the Martha Stewart colors. I feel like she gets them all from some sort of exotic birds’ eggs or something. That cucumber dip sounds a lot like the middle eastern ‘tzatziki.’ I wonder if there are any good simple recipes online for it? Hers sounds delicious! ha! this made me laugh. i like the way you think… i have been having that day mix up problem too! all last week i kept thinking it was friday and this week is going much slower than i would like. you got my mouth watering talking about tomatoes, balsamic, mozzarella, and basil. mmmm…. and that cucumber yogurt sounds pretty tasty, too. love the color. And the yogurt/cuke dish. I have one similar, but I puree it into a cold soup! YUM! 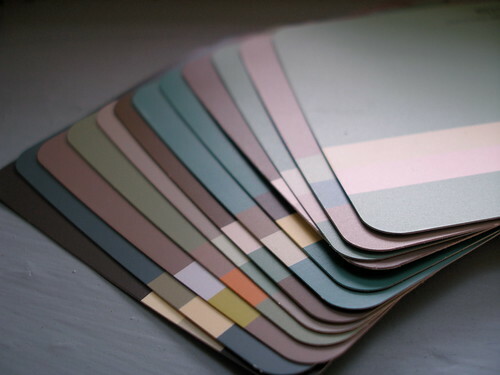 i love paint chips. 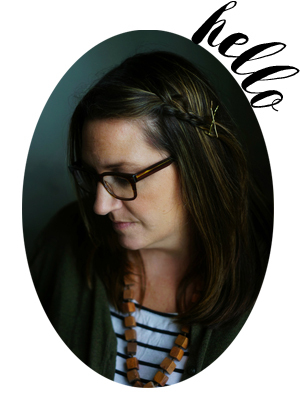 i am hunting for the perfect taupe – not too tan, not too gray. any contenders in your pile? I cannot wait to see your headboard!!!! We are in the process of Adultification in our bedroom. This means we’re tired of living like college students with nothing matching and everything looking very temporary. I’m on the lookout for a good headboard and haven’t found one that I love yet. Yours might be my inspiration! The cuke thing sounds divine too, btw. Have you tried that dip with fresh mint? My Maisie makes it when she does lamb kebabs for the bbq and it is always a winner.Very handy having a 12 year old who loves food! That is a good feeling! I’ve not only been having trouble with the day of the week, but just yesterday, I was convinced it was the 25th (a Monday). I don’t know why. I suppose it has something to do with the fact that my husband took a vacation day on Monday so we could visit an amusement park – it sort of rattles the brain. Thankfully it’s not the 25th – that means I have a few more days than thought to putter (panic) around before school begins again. LOL! For some off-the-wall reason I thought today was Friday and sadly, it is only Wednesday…..
That cucumber yogurt dip looks so yummy. I agree that Martha does know how to pick paint colors-I can always find the exact color that I am looking for. I just love reading your blog. I appreciate your passion for your kids and your voice that comes through in your posts. Your cucumber dip looks very tasty, I think I’ll give it a try. I do like those colours that you have picked out. Another paint chip junkie here, too! We just moved into a 1780’s farmhouse, so lots of work to do, and, happily, lots of painting! Thou I’m a Ben Moore addict, myself. 🙂 I love your blog, by the way. Your “voice” is very refreshing.